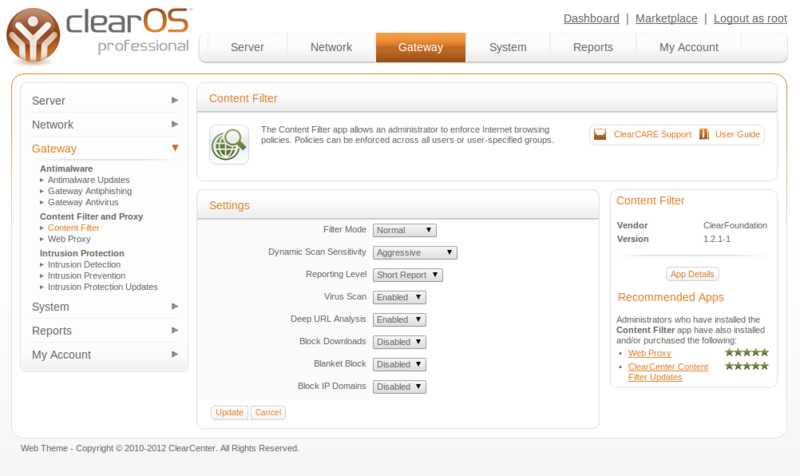 The Content Filter app is a powerful Open Source Filter that allows an administrator to enforce browsing policy. 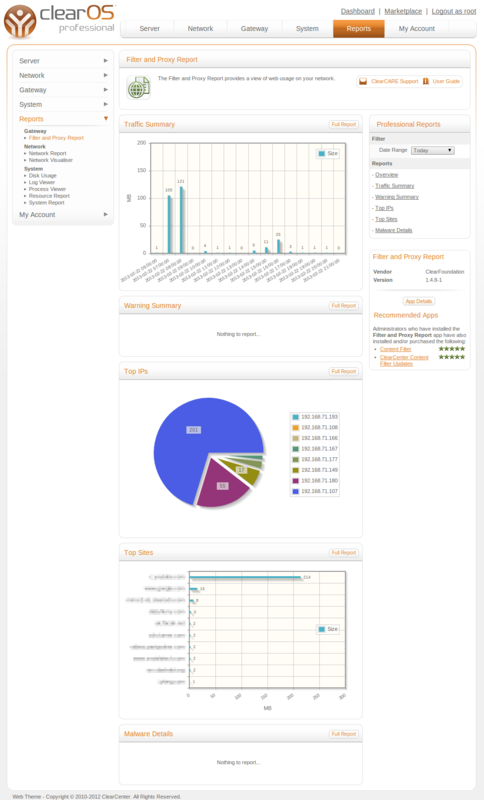 The browsing policy can be enforced across all users or, group definitions can be created, allowing an admin to categorize users into groups - to be filtered uniquely based on the group policy/definition. 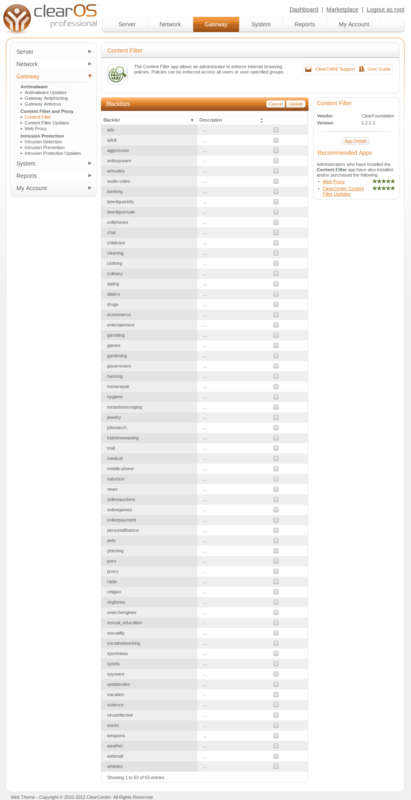 The Open Source Filter, commonly known as Content Filter uses both blacklists and word association algorithms to determine suitable content based on category settings. 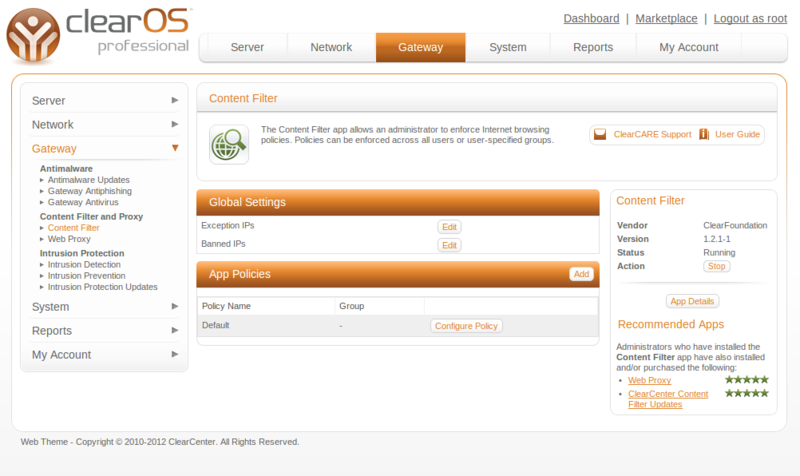 Enabling the Content Filter app can be used to enforce company policy and/or meet regulatory compliance (e.g. Children's Internet Protection Act or CIPA). 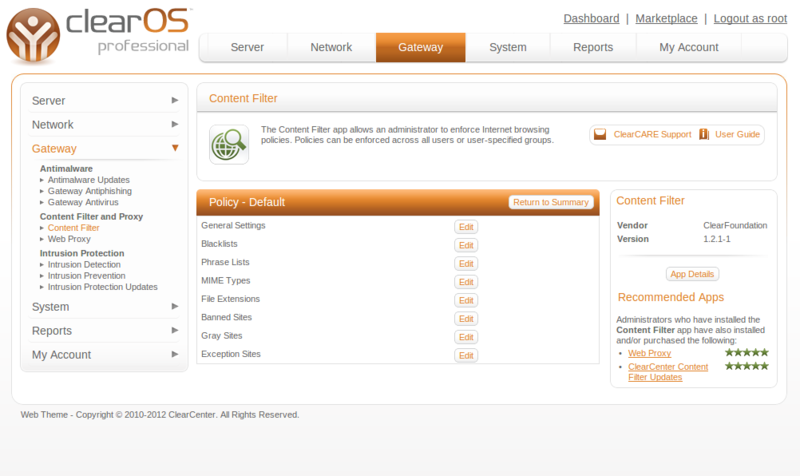 The Open Source Filter is offered for free to run with ClearOS system. The latest version, 2.1.26-1, comes with standard GPL license and boasts powerful features like blocking unauthorized access, malware, content filtering as per defined policies etc.